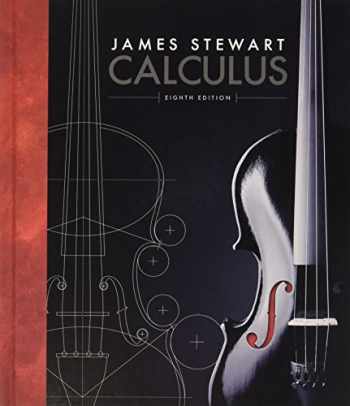 Acknowledged author James Stewart wrote Bundle: Calculus, 8th + Enhanced WebAssign Printed Access Card for Calculus, Multi-Term Courses comprising 1222 pages back in 2015. Textbook and etextbook are published under ISBN 1305713710 and 9781305713710. Since then Bundle: Calculus, 8th + Enhanced WebAssign Printed Access Card for Calculus, Multi-Term Courses textbook was available to sell back to BooksRun online for the top buyback price of $87.75 or rent at the marketplace. Success in your calculus course starts here! James Stewart's CALCULUS texts are world-wide best-sellers for a reason: they are clear, accurate, and filled with relevant, real-world examples. With CALCULUS, Eighth Edition, Stewart conveys not only the utility of calculus to help you develop technical competence, but also gives you an appreciation for the intrinsic beauty of the subject. His patient examples and built-in learning aids will help you build your mathematical confidence and achieve your goals in the course!